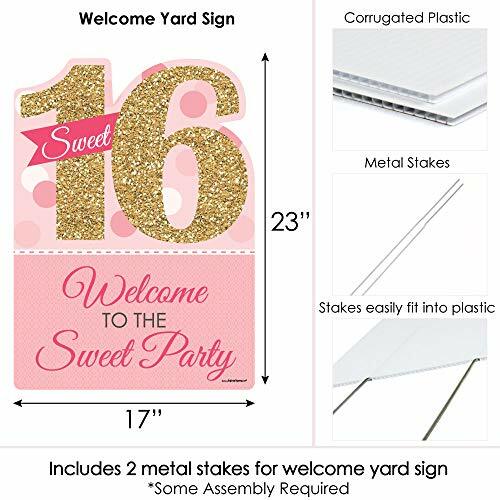 Sweet 16 Yard Sign Decoration INCLUDES Sweet 16 Welcome To The Sweet Party corrugated plastic yard sign and 2 sturdy metal stakes for displaying.PERFECT FOR ANY LOCATION! 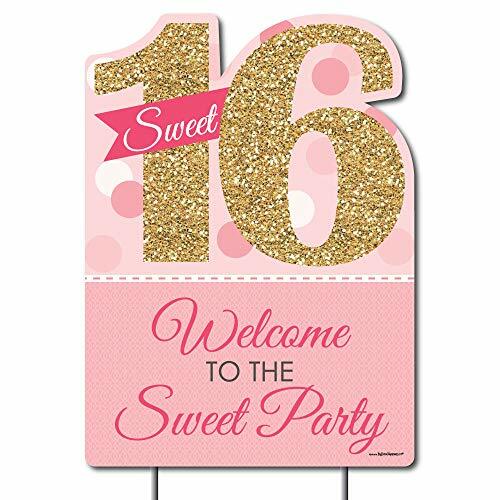 Sweet 16 Yard Sign SIZE 17 inches wide x 23 inches tall. 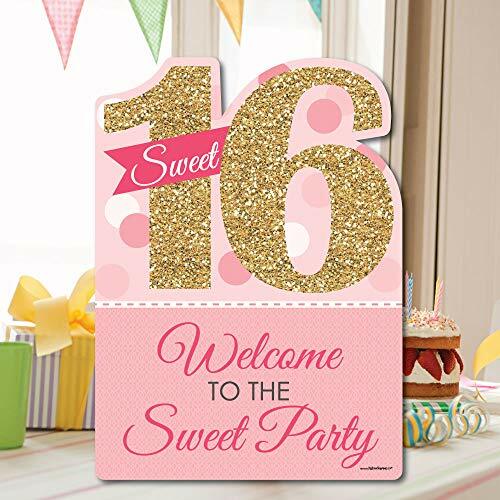 Vibrant pink and gold yard decor is an easy way to decorate for birthday party. Both adults and kids will love these pink and gold party supplies. 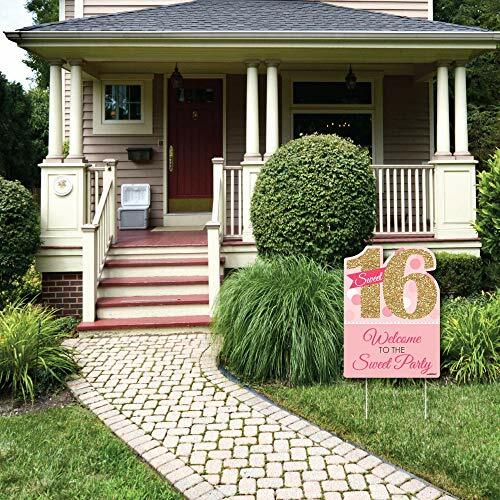 Display in front yards of your home or party venue.EASY TO USE: Sweet 16 Lawn Decorations are professionally printed and cut, making assembly quick and easy. 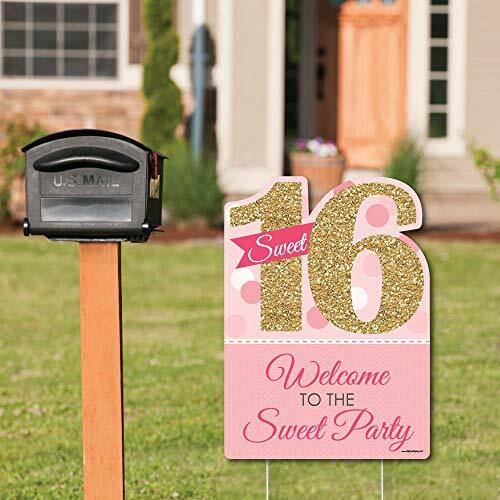 Simply insert two heavy-duty metal stakes into each birthday party yard ornament and press into the ground to display.HIGH-QUALITY YARD DECORATIONS: Sweet 16 Yard Signs are printed on durable, corrugated plastic. 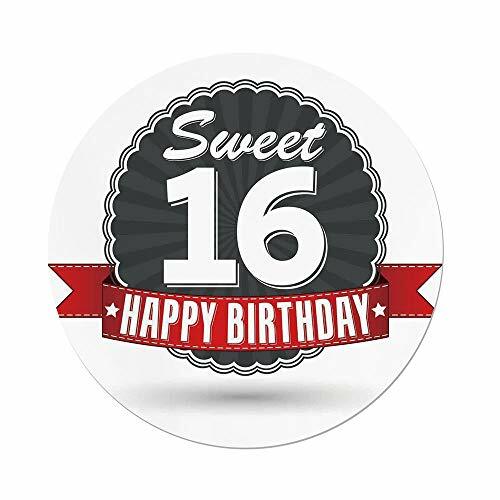 Sixteenth birthday party yard decorations are waterproof and can be used outdoors - displayed in wind, snow and rain without any worry. 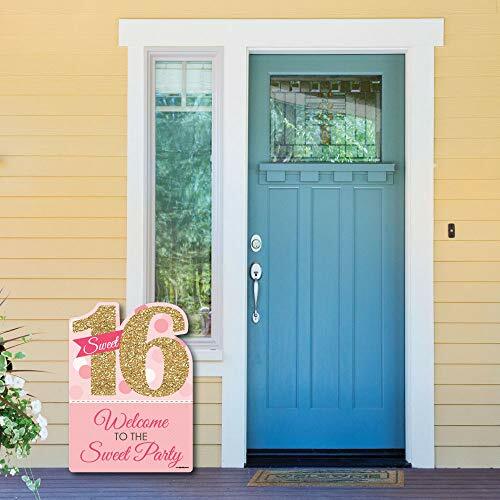 16th birthday party signs also look great indoors at your entrance to greet guests.MADE IN THE USA: Sweet 16 - Party Decorations - Birthday Party Welcome Yard Sign is designed and manufactured at our Wisconsin facility using materials that are Made in the USA. 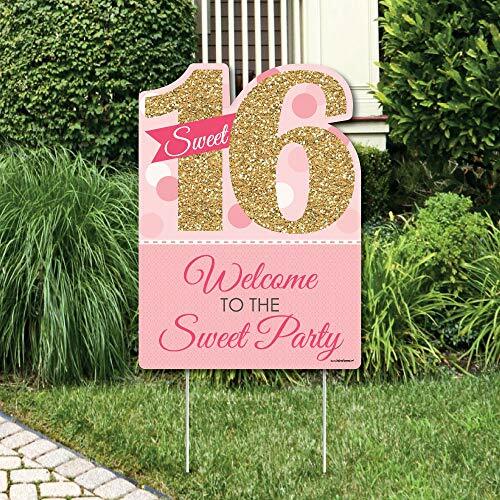 Sweet 16-yard decorations use a No-Mess Glitter Print: Our yard decorations are designed with a printed image of glitter, eliminating glitter flake while maximizing bling effect!